Welcome to Clip 'N Climb Central Coast! 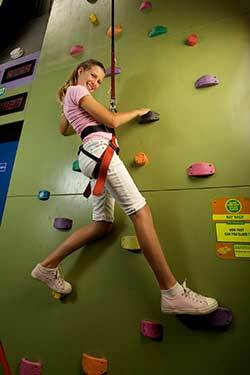 Let your kids enjoy the experience of climbing in a fully supervised and colourful climbing space. It's a great indoor kids activity and truly is a WOW activity, fun for all ages! All equipment is provided, and with unique themed climbs, indoor climbing has never been easier, with the use of our automatic belay devices which take in the slack as you climb, then gently lower you the ground. 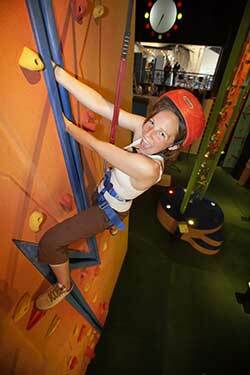 It’s where climbing wall meets theme park! See how many ways you can climb – race yourself or your mates on the many challenging Clip ‘N Climb walls. Every climb is equipped with the Trublue auto belay making it safe and easy to climb free of a belay buddy. Had enough? Made it to the top? Want to go up again? Just jump off, glide down, and start your next climb. And, for safety’s sake – children 12 years and under require their harness to be checked by an adult before each climb. Perfect for corporates, sporting and community groups. 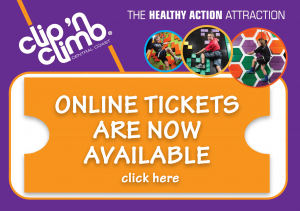 A session at Clip ‘N Climb is ideal for: Reward & Recognition programs | Wet weather sports club training | Sales meetings with real motivation | Unique challenges for team building and personal development | Space for events for any groups. My 8 y/o daughter and I have been back half a dozen times now. This is something both the kids and adults can enjoy at the same time. Does wonderful things for people's confidence. Also a great workout! The staff have always been friendly and helpful, to the point we are on first name basis with a few. Highly recommend you visit. Instead of watching the kids climb, this time I climbed too. Two mums and their two sons. Scary to start but loved it! Why should kids have all the fun. Such a great venue for all ages. Thanks.